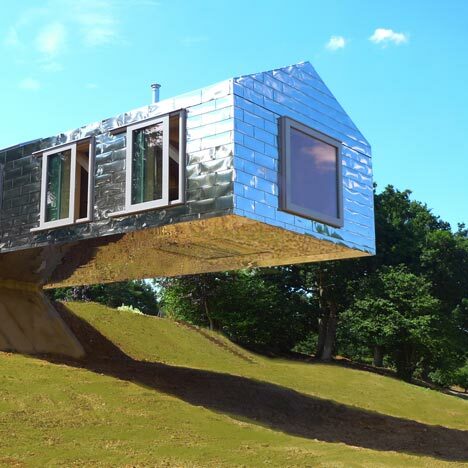 This cantilevered house in Suffolk, England, by MVDRV of Rotterdam and British firm Mole Architects is nearing completion and will be the first of five homes from Alain de Botton’s Living Architecture project available for rent on 22 October. 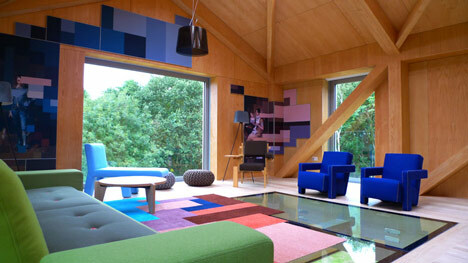 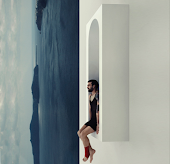 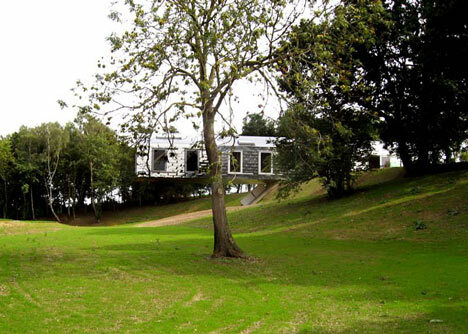 Living Architecture is a series of holiday homes around the UK designed by established and emerging architects. 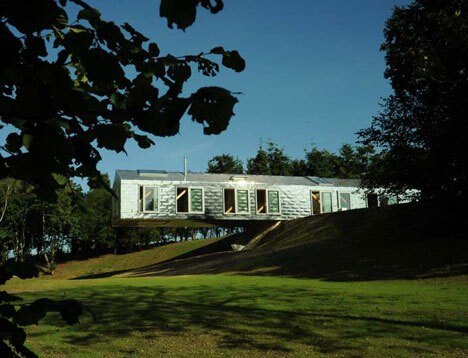 The homes also include designs by Peter Zumthor, Jarmund and Vigsnæs Architects, NORD and Hopkins Architects. 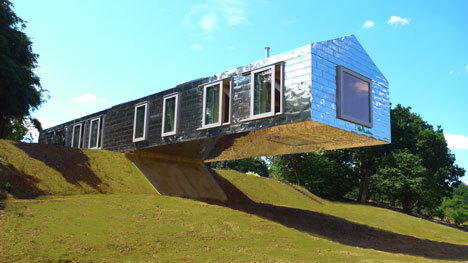 More than 50 percent of the Balancing Barn is suspended above ground with a glazed section built into its suspended floor.